Designtripper wasn’t around for the better part of the year, but that doesn’t mean I don’t have a looking-back list for 2010. There’s LA art duo Clamdiggin for the newest Viceroy, Richard Hutton’s stripe-y, layered princess-and-the-pea-style mattress at the Llove Hotel, Patricia Urquiola’s bright, high-texture lobby at the Vieques W, and just about everything at Chicago’s six-room Longman & Eagle inn (vintage tape decks, artist-made speakers and wolf skin hanging in the entryway). 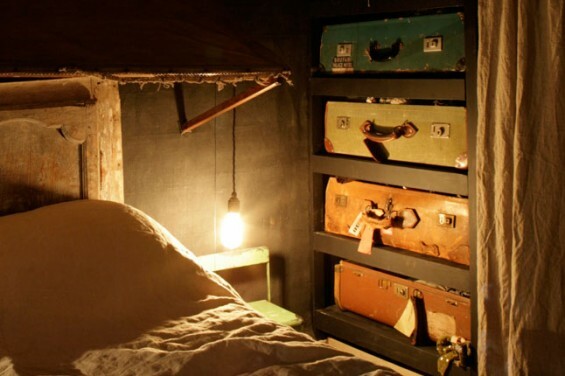 But my very favorite project of 2010–a temporary hotel room designed by the super talented Brit couple James Russel and Hannah Plumb (James Plumb) for the London Design Festival–never made it to designtripper while it was actually open. 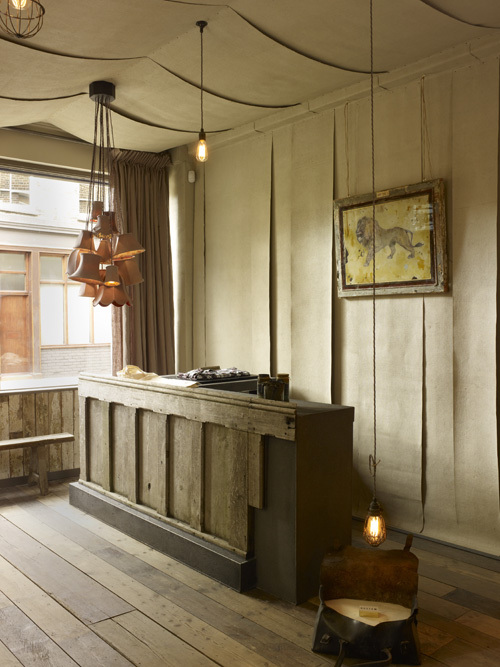 Known for restoring old, worn furnishings and accessories and transforming them into creative, modern pieces, James Plumb designed the One Room Hotel–a stand-alone suite adjacent to a menswear store (with beautiful interiors also by James Plumb). 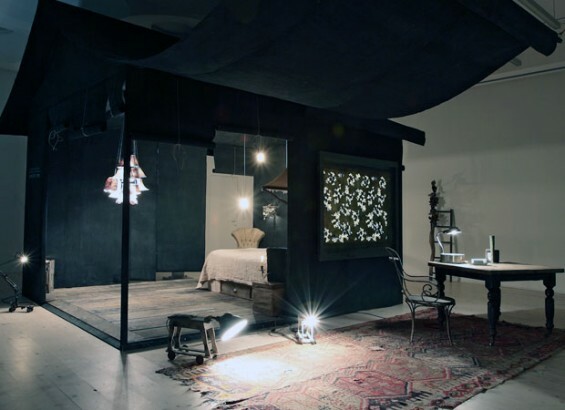 In the daytime, the space was a showroom for their work; by night, a hotel room. 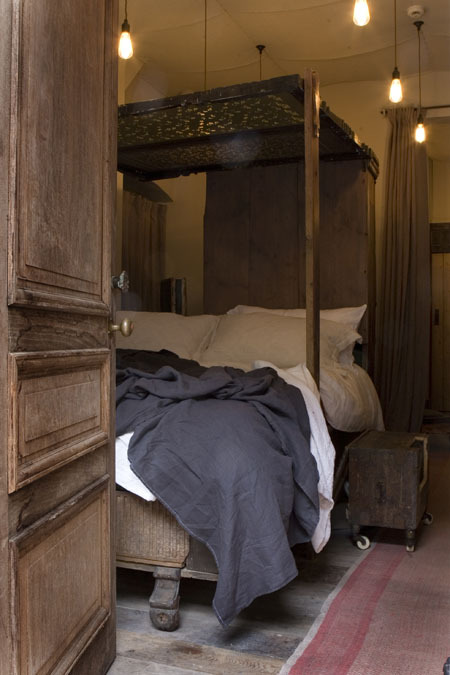 Highlights include a once-dilapidated 18th-century Swedish dresser bed they brought back to life and a genius shelving system with vintage suitcases as drawers. Their individual pieces are so smart (old spindled chairs with missing legs made stable with a huge chunk of concrete block), but the aesthetic is beyond extraordinary when they pull it all together for a store, hotel room, or an installation at Salone del Mobile (see below). Thanks for reading. Happy New Year! Its excellent as your other blog posts : D, regards for putting up. “I catnap now and then, but I think while I nap, so it’s not a waste of time.” by Martha Stewart. Keep up the superb work , I read few blog posts on this website and I believe that your website is real interesting and contains bands of fantastic info . Keep up the good work , I read few content on this website and I believe that your web blog is very interesting and has bands of fantastic information. I simply couldn’t go away your web site before suggesting that I extremely enjoyed the standard information an individual provide to your visitors? Is going to be back continuously to check up on new posts. Keep up the good work , I read few articles on this internet site and I believe that your blog is rattling interesting and holds bands of wonderful information. Hello my family member! I want to say that this post is awesome, nice written and include approximately all significant infos. I’d like to peer more posts like this. Hi, Neat post. There’s an issue with your website in internet explorer, might test this… IE nonetheless is the market leader and a good component to folks will omit your wonderful writing due to this problem. I have to show appreciation to you just for bailing me out of this particular incident. As a result of exploring through the online world and coming across methods that were not productive, I believed my entire life was well over. Being alive without the solutions to the issues you’ve sorted out as a result of your main post is a critical case, as well as those which may have negatively damaged my career if I had not come across your web site. Your main capability and kindness in handling a lot of things was valuable. I am not sure what I would’ve done if I had not discovered such a stuff like this. I’m able to at this time relish my future. Thank you so much for the high quality and amazing guide. I won’t hesitate to endorse your blog post to anyone who needs counselling about this matter.